Kamala Khan is a super-hero in the Marvel universe. She is notable for being the first Muslim Super Hero to appear in a self titled book. 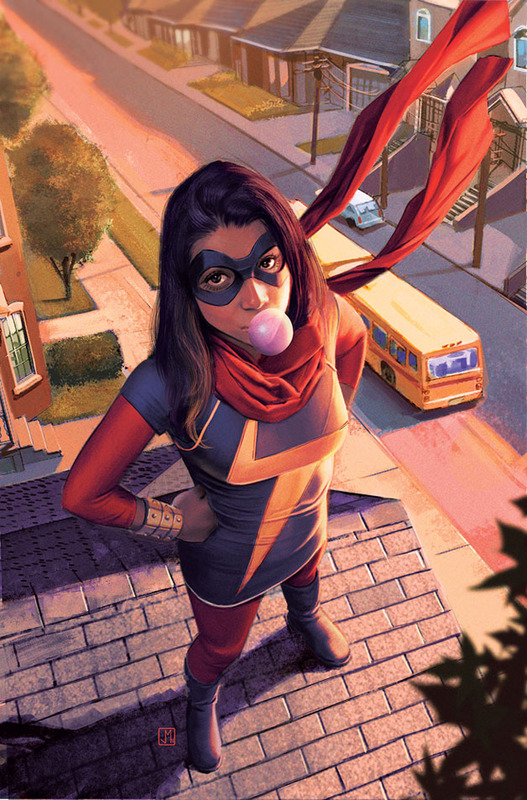 Ms Marvel volume 1: No Normal was the highest selling Graphic Novel in 2014. Captain Marvel #14 (August 2013) - Kamala is in the background of a scene where she is watching Carol battle the villain Yon-Rog. Who are the new characters from the series Inhuman? Kamala is high school student in Jersey City that gains extraordinary powers when Terrigen mists are released across the world. The Terrigen mists trigger mutations in people who are of Inhuman descent like Kamala. After the Terrigen exposure Kamala found she could shape shift, change the length of her arms, and alter her appearance. She began to fight crime beneath the mantle of her personal hero Carol Danvers. 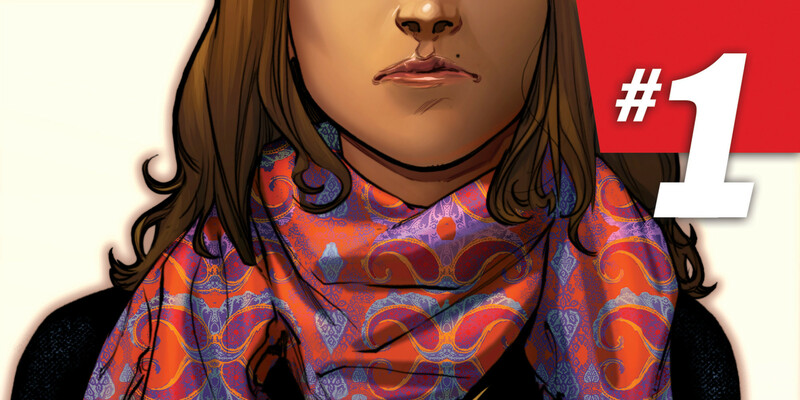 Kamala has a unique voice in that she is the first Muslim super hero to appear in a self-titled series. She is an American of Pakistani descent and struggles with finding her place in the world. Living in the United States where Muslims are a minority she struggles with the expectations of what a Muslim girl should be like. These expectations come from outside her community, within it, and even from within herself. Carol Danvers is her hero because she is good, beautiful and seems so much less complicated. Overtime, Kamala begins to accept the complications in her own life as strengths. Kamla undergoes a journey to both become a hero and discover her true self. She is unique in that she is based out of Jersey City instead of NYC. In many ways this location echoes her feelings within herself. Jersey is seen as second fiddle to NYC and Kamala feels like a second rate superhero. Despite her feelings Kamla is viewed as a very capable Superhero by other Superheroes including Spider-Man, the Inhumans and the former Ms Marvel, Carol Danvers. Stretch and Grow - Kamala can stretch like Mr Fantastic, as well as grow physically. Clothes or Disguises - She manipulate her body in fine tuned ways like altering it to create clothes or otherwise alter her appearance. Healing- Kamala can heal herself with wounds however this seems to her ability to shape change in the future. The more she heals this less she is able to change shape.